Call it the big cover up or even, if you want to; a protection racket but the fact is: we are not entering the realms of writing about crime fiction. We are talking here about protective coatings as applied to superyachts. know how everyday issues relating to paint and varnish can be coped with and with manufacturers each claiming that their product can either cut emissions, boost performance or improve fuel economy, there is a lot more to the protection racket than just a chamois and squeezy blade. 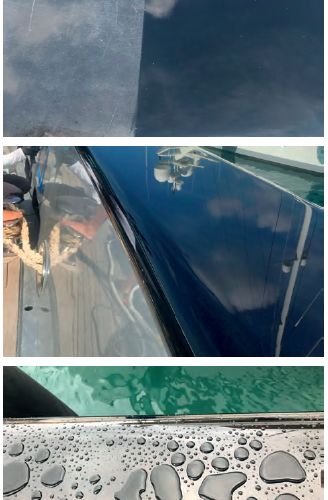 Yachts live in some of the most corrosive conditions for paintwork in the world attacked constantly by high doses of ultra violet light and salt water. Paint surfaces are porous with millions of microscopic holes. Salt crystals get into these holes and act a little like the tip of a screwdriver boring away making the pores bigger. The sooner these salt crystals are removed the less damage is done. The less damage is done the smoother the surface and the smoother the surface the shinier the boat looks, as light is refracted in a focussed single beam rather than diffused in many directions. The application of ceramic protective coatings will seal the pores on paint, glass and stainless, preventing them from being damaged and creating an uneven surface that will never shine no matter how many wash downs are done. From the crew’s point of view, washing down a surface sealed with a smooth ceramic coating is quick and easy and results in the perfect shine. These specialist polymer and ceramic coatings enhance and protect the exterior paint surfaces against ultra violet, salt, dirt, exhaust fumes, oil and a host of other contaminates. Using a good polish can delay a paint cycle and if applied from new or whilst still in good condition can extend the life of the paint for years. 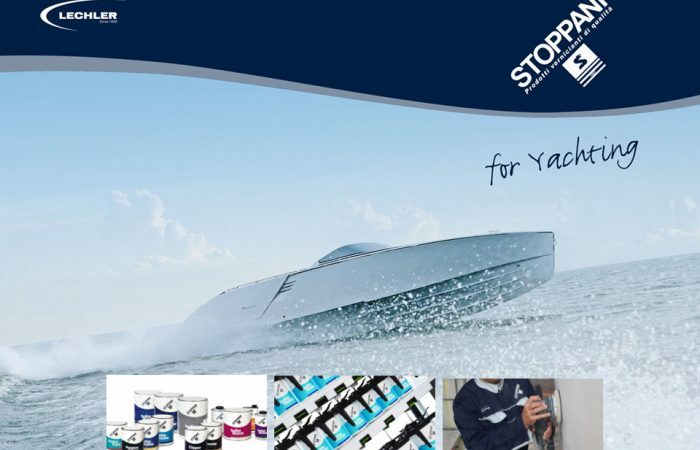 Isofan and Stoppani are paints made for the yachting market by the German Lechler Brand. Since 1883 Stoppani has dedicated special care to product quality and reliability. The product range they offer is continuously evolving using Lechler’s technological expertise with the aim of offering innovative paint processes to fully satisfy the different yachting segments’ needs. The Isofan Marine product range includes solid, metallic and pearl finishes of matchless gloss, light fastness and ageing resistance for yachts, pleasure and sailing boats. The difference between a good paint job and poor one is always said to be down to the preparation. It is a cliché, but it is also true, that 99% of every good paint job lies in the preparation. It doesn’t matter if the finish is wood or fibreglass, the prep work still has to be done. This begins with removing all hardware, railings and decorative strips. Except where the complete removal of the object cannot be safely achieved the use of masking tape should be avoided. Before applying any coating, check that air conditioning units that vent on the area to be coated are cleaned or if possible that the fans have been turned off. It is a sad fact of life that the Sahara Desert is just too close to the marinas on the northern shores of the Mediterranean. That and the fact that superyacht docks are often close to roads, means that whenever crew are trying to paint a surface outside they encounter dust. Minute particles of sand or road grit are generally invisible to the eye but add a layer of wet coating to a surface and the annoying molecules of grit can quickly spoil hours of hard work. It’s a really good idea to use an air compressor to blow away dust from its surface and then to sprinkle clean fresh water on the deck, in the area being coated. This will help keep dust on the deck and help prevent it moving around in the air. Kevin Viles recently sold out his fairing and painting company Concept Yachts Finishing brand to Finishing De Luxe in Germany and joined the board of the newly enlarged company as Commercial Director. Now with offices in the UK, Holland and Germany the company currently has five projects over 50 metres running simultaneously inside Heesen Yachts, along with two 90 metre refit projects underway at Royal Huisman.” Director Chasan Kalfoglou says, “For us it goes without saying that good preparation is one of the most important steps that we take on our projects. A high standard of preparation starts from day one and we maintain a high standard throughout the process. Longevity, high gloss and easy cleaning are the standout features offered by a new class of coating made possible by recent advances in ceramic chemistry: Zytexx Clear-Coat. When using this revolutionary ceramic coating, salts, pollutants, acid rain streaks, oils and diesel soot are all easily removed. 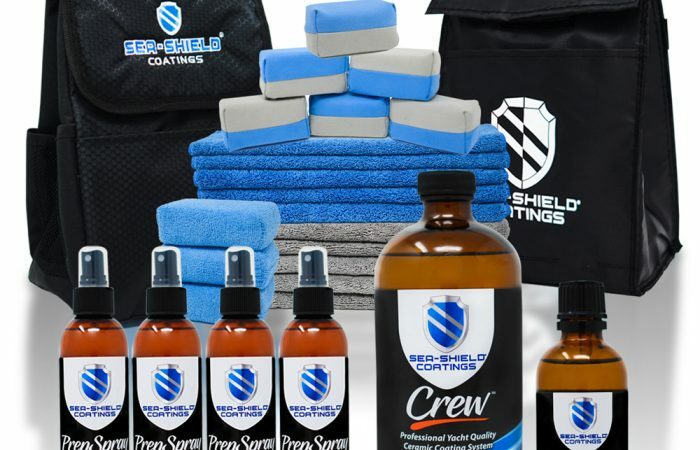 The hard, slick, abrasion-resistant finish does not wear down like waxes, polishes and polymers. 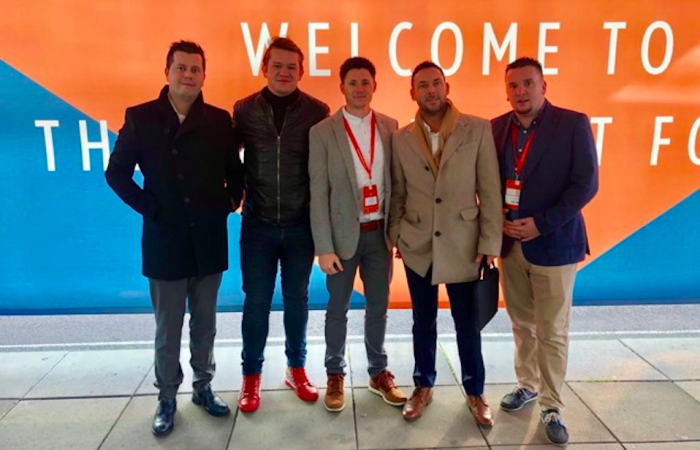 Nico Roper of Atlas Paint Consultants believes it is important before contemplating any large scale painting project, specialist firms such as his are called in. The job of a consultant should be to carry out a full pre refit paint status survey. Once that is done the consultant should prepare a bid book to reflect all the necessary requirements. Then he should have the yard and or the paint contractor prepare a paint manual. “It is vital,” he says, “to list the responsibilities and communication lines to make sure there are clear and open corporation between all parties”. Painted surfaces that have a dappled look about them are often referred to as having an orange peel finish because of the texture of the surface after coating resembles the skin of an orange or grapefruit. This phenomenon is almost certainly the result of improper painting a technique, and can often be caused by fast evaporation of thinners or when using an incorrectly set up spray gun. It can also arise when a surface is painted with a roller using too little pain or too thick a paint so that the surface dries before the texture as a whole does so. When using a spray gun check the air pressure and ensure the correctly sized nozzle is fitted. Avoid spraying paint at an angle other than perpendicular to the surface and never apply an over excessive amount of paint. When painting, it is always best to avoid extreme air quality or temperature conditions. Low temperatures will for example increase drying times while high temperatures will reduce drying times and can make application more difficult, as product flow and levelling is compromised. Optimal painting conditions are when the ambient temperature is between 10 - 26°C and relative humidity is below 65%. It is always best to avoid painting in direct sunlight, or when the substrate itself is excessively warm. One good way to check this is to check the surface temperature using a specialised surface thermometer. When applying epoxies in high humidity conditions they can develop an ‘amine blush’ on the surface particularly at lower temperatures. This slightly sticky substance must be removed and can normally be washed off with soap and water. If the blush is not removed it can lead to the delamination of subsequent coats. High humidity conditions can reduce the amount of solvent evaporation during the drying/curing stages; with epoxies this can lead to a ‘soft cure’ where solvent can remain trapped in the film for many days leading to slow or poor final cure. Patching paint is always tricky. There are some who say patching should always be thought of as a temporary repair because it will more than likely always be identified as such. Others believe that done well it is hard to tell if a patch repair has been made or not. It is a truism, however, that hard cut lines are almost always visible, especially in darker colours the likes of dark blues and blacks. They should, be avoided in areas where they are going to be very easy to spot. It is of course imperative to use the same brand and colour as the original when trying to perfect the repair. One good tip is to keep a log of what is painted when it was completed and what product was used noting any batch numbers or identification codes shown on the tin. That way you know exactly what colour was originally used. Some experts suggest it is best not to polish hard cut lines advising, hard cut lines will look worse than if they were simply left as they were. It is sometimes better to paint an entire section than a patch in the middle of a surface, as you would have less risk of it being visible. Larger areas are often better than smaller ones. Polishing out soft cut lines using specialist polishes is always the better solution. Certain paints can be polished and others cannot be polished, so be aware of what is possible before you start. A well polished patch when done properly will be almost invisible. Based in Palma de Mallorca, Pure, headed up by Nic Clarke has painted over 20 superyachts in the 10 years the company has been in business project managing refits. He says, “I know a bit about paint and coatings but could not be regarded as an expert. That is why we always retain the services of a paint surveyor, sometimes much to the annoyance of the applicators working on the project. It was the project management style of the company that secured the responsibility of completely repainting the exterior of the 70 metre Lurssen built Saint Nicholas and it was perhaps because of the paint quality that this yacht exchanged hands so quickly one released onto the brokerage market. 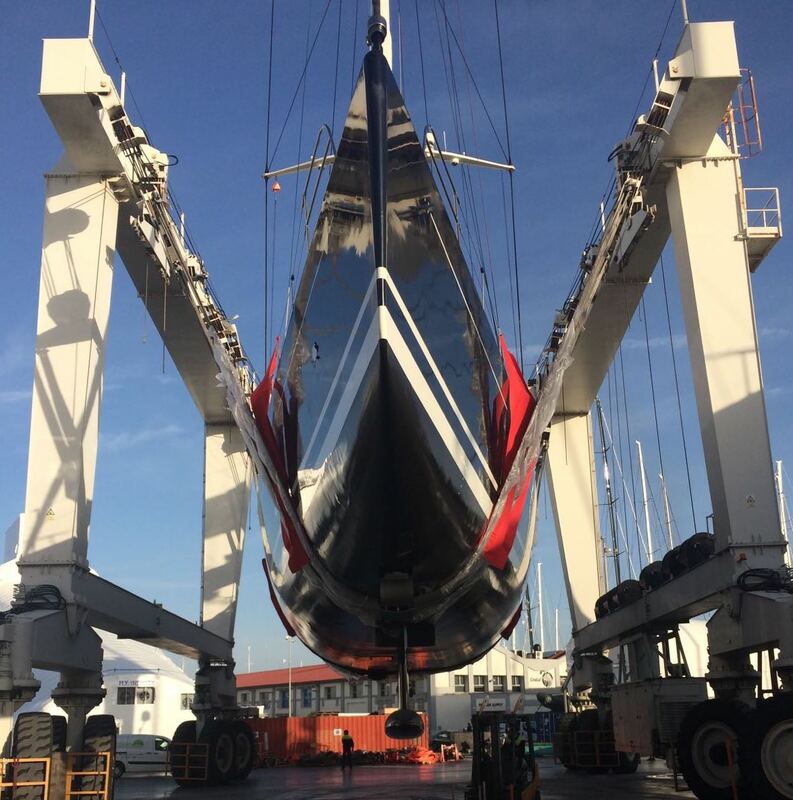 Aquarius Marine Coatings Ltd. manufactures the high-performance multi-season antifouls Coppercoat, Coppercoat-Superyacht and Coppercoat Commercial. 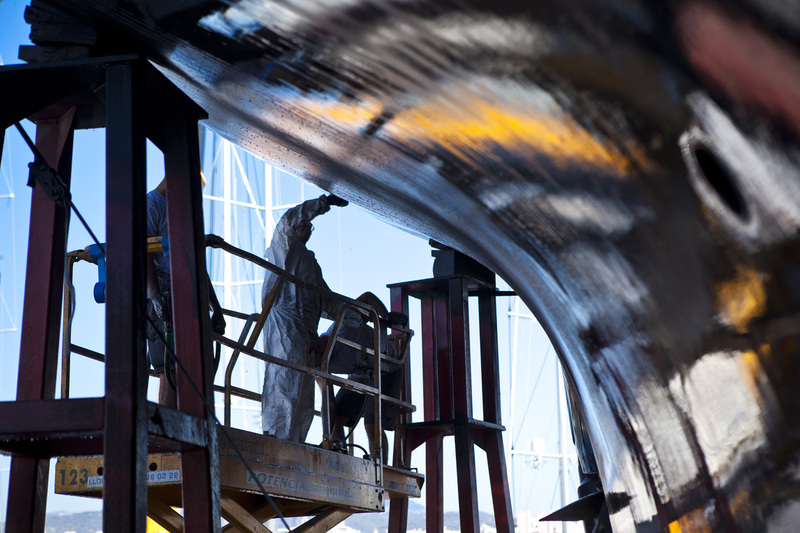 Since launching in 1991, these coatings have proven to be durable and long-lasting. These hard-wearing and densely copper-filled epoxy resins provide protection against unwanted marine growth for many years (commonly over a decade). 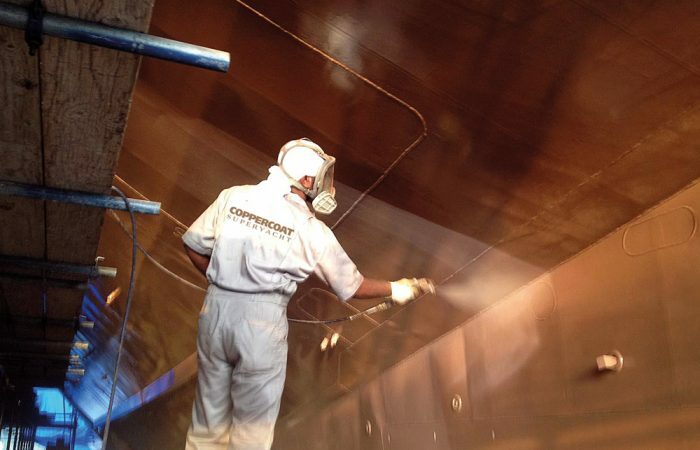 To date, more than 60,000 sail and power vessels have been treated with Coppercoat in the leisure, commercial and superyacht sectors. The proof of the pudding is they say is in the eating. Coppercoat is currently celebrating its own memorable proof in the aftermath of the 2017-2018 Clipper Round The World Race. When the Clipper boats were finally lifted out after 40,000NM of racing and 16 months of continual immersion, the Coppercoat on their hulls revealed almost no loss of coating thickness. Barring the faintest trace of slime at the waterline in some parts, the hulls were virtually spotless. 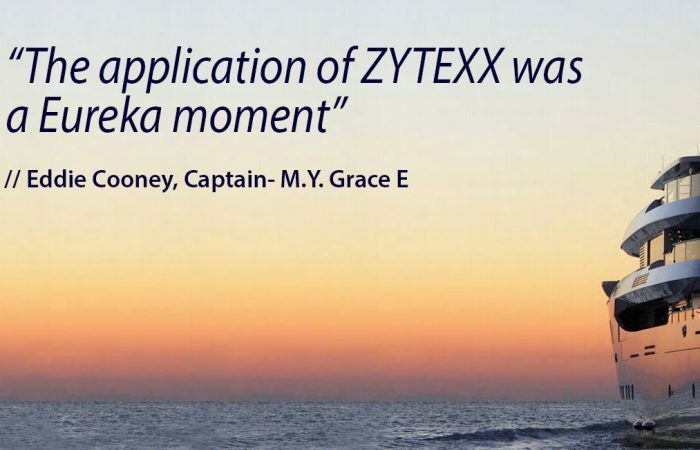 Such positive feedback contrasts markedly with recent testimony from sailors involved in other global circumnavigations, who reported that rival coatings used on their boat hulls only lasted for less than six months. Even, by this point, barnacle growth on hulls was so advanced that it was calculated to be responsible for a 0.5 to 1 knot reduction in boat speed for every hour sailed. Our team are experts with anti-foul application, both spray and roll on, and knowing the best solution to apply for your requirements. 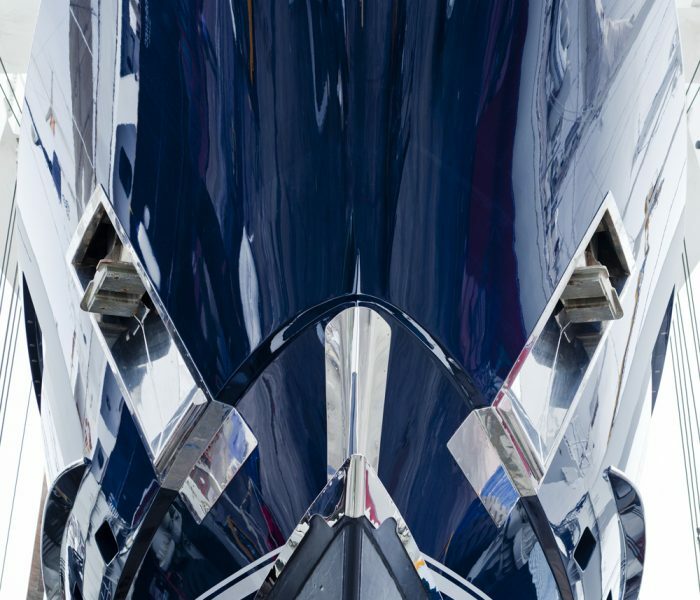 We can decipher the right product for you dependent on your program, whether it be for racing, or to help with lower fuel consumption over a long charter season. Recently more and more of the racing superyachts are wanting to apply the biocide free foul control slime release coatings as they significantly reduce drag, improve fuel efficiency and therefore reduce CO2 emissions, meaning the yacht is more eco-friendly, and will move faster through the water… therefore improving their competitive edge for racing. We have the ability to give our clients choice for the method of their anti-foul system application due to the fact that we have such an experienced team. 70% of our clients opt for an airless spray application to ensure an even coverage and better performance due to more paint being applied during the process. The ability to use a spray application means we can achieve a smoother finish giving the added benefit of saving fuel as it allows the boat to travel easier through the water. Over the years, we have built a fantastic relationship with our Akzo Nobel technical representative to ensure the perfect result, and out of the 350 applications, approximately 35 projects were sandblasted back to bare metal, or primers, and a full new anti foul system applied. We are also authorised Propspeed and Propgold applicators and use one or the other to approximately 80% of jobs. We are proud of our dedicated team for all their hard work, and achieving this milestone of 350 anti-foul applications. It just goes to show that for the best and most experienced team, our clients keep coming back to Absolute. We look forward to the next 350. 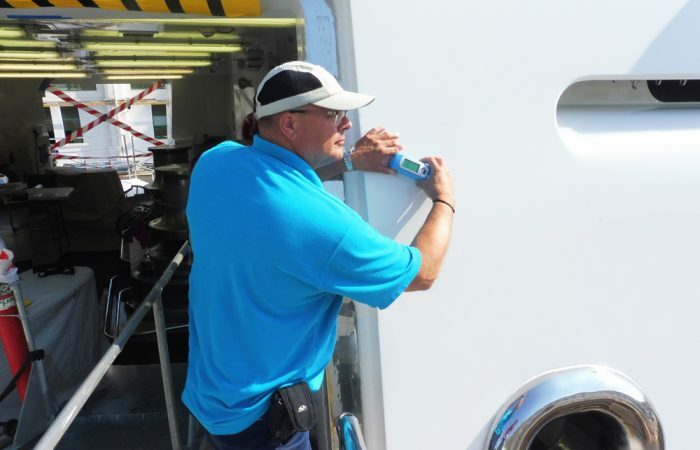 Absolute Boat Care have a number of long standing clients that return for their anti-foul and other finishing services year on year. The First Officer of M/Y Vava comments on the service they have received over the years. We have been using ABC for our anti-fouling for the last three years and during that time we have always found their service to be of the highest quality as well as being very competitively priced. I have no hesitation in recommending them.